They are the women of Primrose Creek, and their strength and passion is a match for the Nevada frontier they call home. Linda Lael Miller masterfully captures the hardships and dangers of a country swept by the winds of war -- and the daring and determination, the hopes and dreams of four unforgettable women -- in a thrilling new series. Christy An elegant jewel from an English finishing school, Christy McQuarry was bound to turn heads when she and her younger sister, Megan, came to settle in Primrose Creek. Town marshall Zachary Shaw knows that Christy sees what few men in the rugged pioneer town can provide: a secure future and a comfortable home. 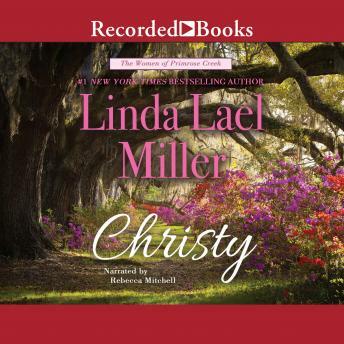 But he is not immune to Christy's charms.... A wild attraction sparks between the lady and the marshal, but Christy -- left penniless after her mother's death -- cannot afford the distraction of such an unpredictable and reckless passion. Promising her hand to the local lumber baron, lovely Christy stubbornly tries to ignore the lawman who makes her heart pound wildly at every glance. But Zachary Shaw is just as determined -- to win her love for a lifetime.